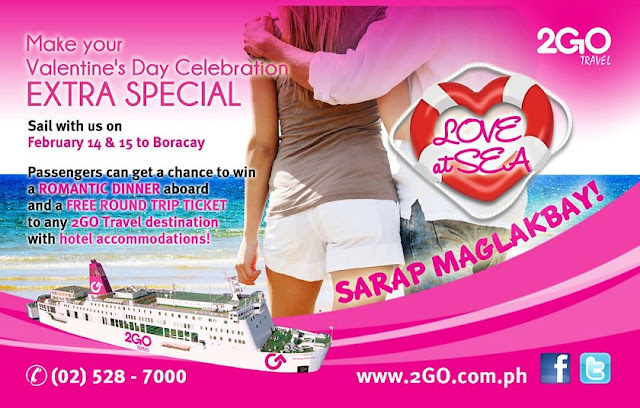 2Go Travel Promo - SuperFerry Promo 2019 to 2020: Romantic Dinner on a LOVE BOAT? Romantic Dinner on a LOVE BOAT? Honey, Babes, Darling, Sweetheart, Sweety, Mahal, Pangga, Sinta. Is it okay if i call you mine? Whatever endearment for both in Love... We will keep the romance more alive as we bring you our LOVELY TREAT this season of FEB-IBIG!